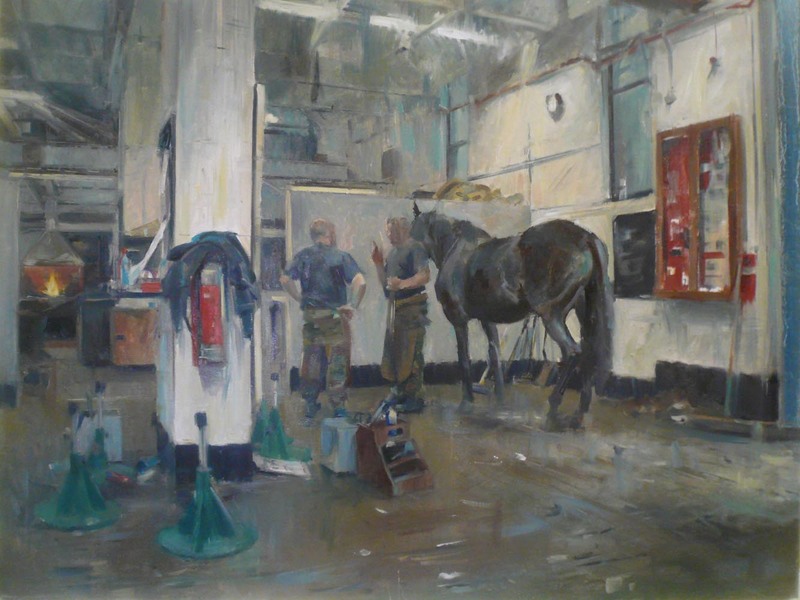 In April 2011 Tom Hoar was invited by the Household Cavalry Mounted Regiment to record the preparations for the wedding of Their Royal Highnesses The Duke and Duchess of Cambridge. 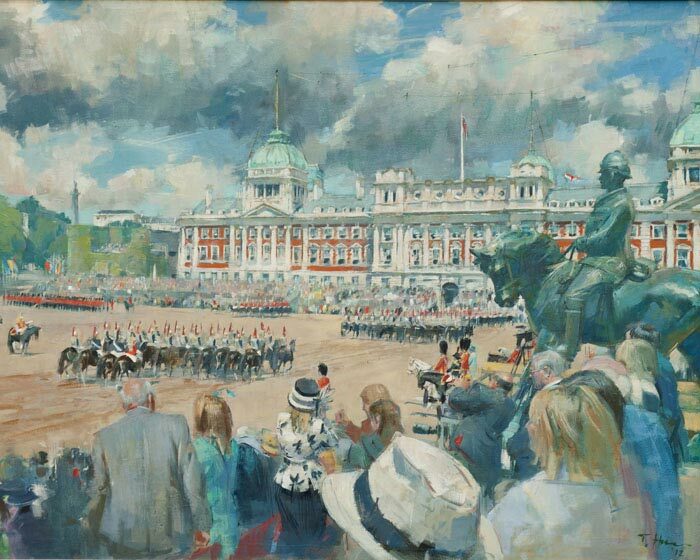 Sketching parade ground inspections and full-scale rehearsals outside Buckingham Palace and Westminster Abbey, Tom Hoar began a 12 month association with The Regiment following their ceremonial calendar and daily routine at Hyde Park Barracks. 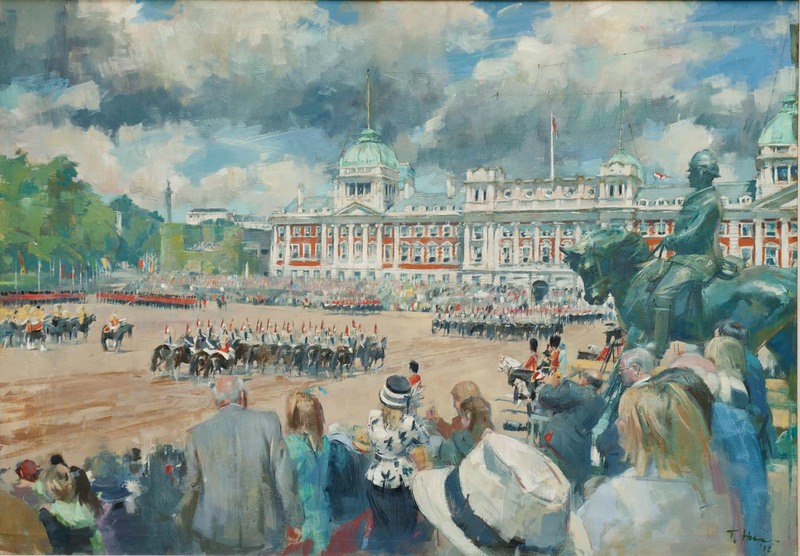 Over the months ahead Tom returned to Hyde Park Barracks for Beating the Retreat and the Queen's Birthday Parade at Horse Guards in June, then was back alongside The HCMR in November for the Lord Mayor's Show and Remembrance Sunday. 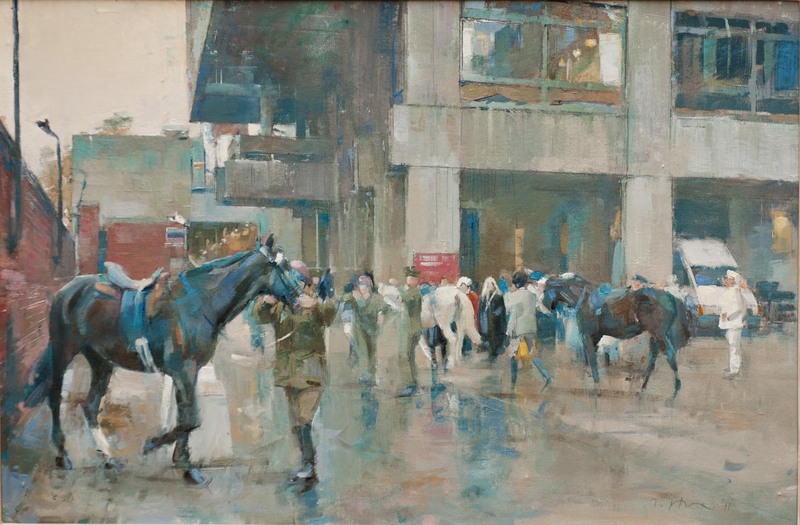 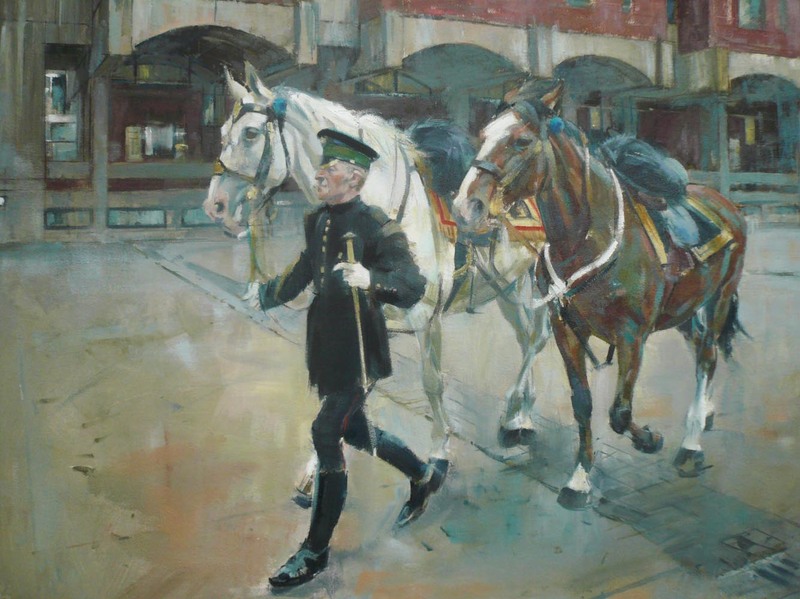 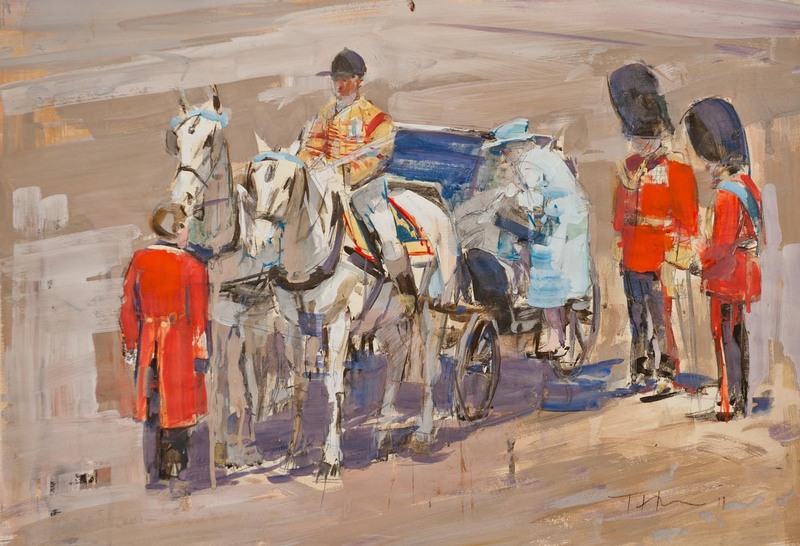 During this time Tom worked on a collection of studies, sketches and large-scale formal paintings exploring Regimental life, both behind the scenes and in their public ceremonial role. 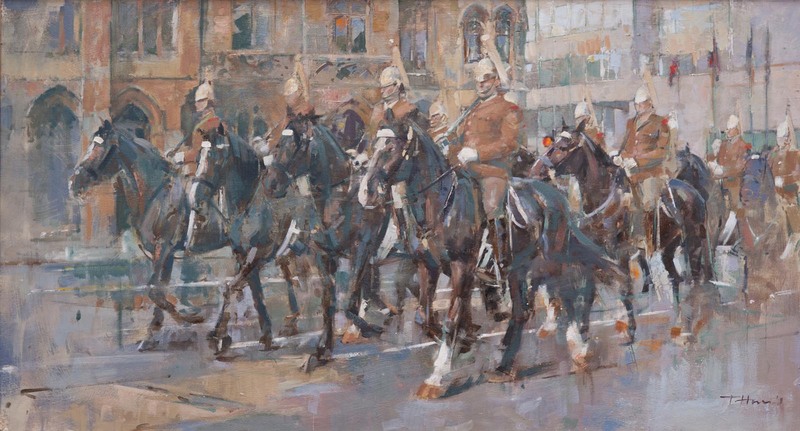 In this original and personal account, Tom focused on the immense individual and collective effort of regimental daily life and the hardworking graft of the soldiers as they carried out their duties from the stables to the parade ground. 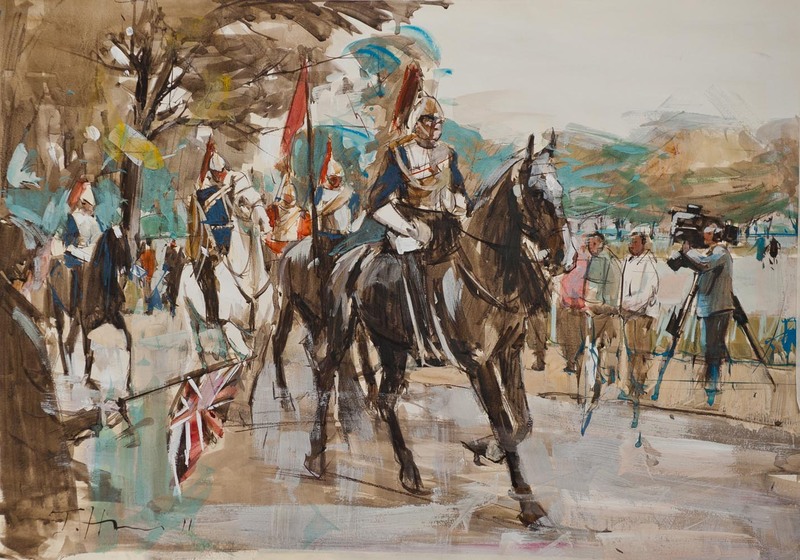 Reflecting on both the role of an artist working alongside the Regiment and the wider public’s perception of contemporary army life, the exhibition presented an insightful look at where tradition meets the modern day life of the British soldier. 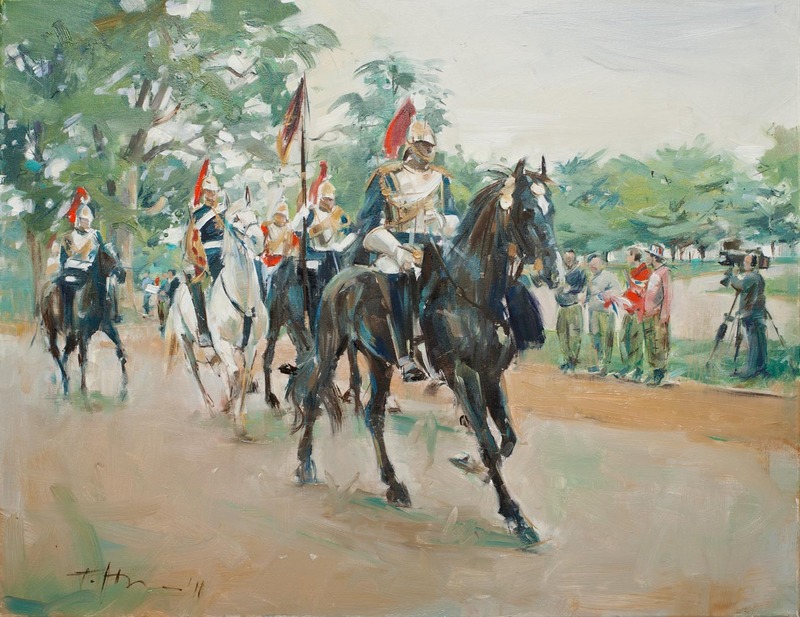 The collection was exhibited at Hyde Park Barracks from 23rd - 26th April 2012 to great acclaim and a near sell-out show.